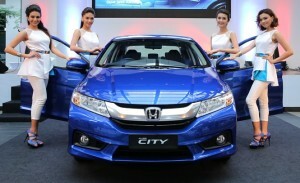 Honda launched its New Honda City with great success, breaking sales in the process. This proves Honda is a hot seller in Malaysia. The car was launched in the country at a price of RM76,000 in the third week of March. Bookings went into overdrive right from the first few days following the launch, as a result of which the City managed to eclipse the Honda CR-V, which was the previous best at 3,000 bookings in a month. The company’s production plant in Pegoh is ramping up its capacity so as to keep up with the demand for the car. The cars are expected to be delivered by June. Malaysians have apparently taken to the fourth generationCity’s advanced features and ample cabin and cargo space. The new City comes equipped with features like six airbags (for the top-end variant), VSA and ISO Fix while its trunk space is the largest in the B segment at 536 litres. It also boasts smart entry, push start button, cruise control, touch panel auto air-conditioning, rear air-conditioning, and entertainment enhancements such as the 7-inch display, and eight-speaker audio system. Honda Malaysia has set itself a target of selling 76,000 units of this car in the country in 2014.